Stewart Marx is a Partner with Homan & Stone. Mr. Marx graduated from the University Of San Fernando Valley College Of Law where he earned his Juris Doctorate in August 1976 and acquired advanced education in CA Workers’ Compensation Law which he received from the University of Southern California Law Center. 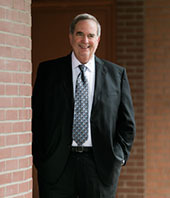 Stewart brings to the firm over 41 years of legal experience in civil and workers’ compensation litigation. Stewart has represented insurance entities, self-insured employers, third party administrators and uninsured employers in all aspects of workers’ compensation litigation including standard defense litigation, 132a discrimination allegations and serious and willful misconduct claims. He is also well-versed in the depositions of injured workers, physicians and witnesses. Prior to joining Homan & Stone, Stewart was a shareholder with Grancell, Lebovitz, Stander, Marx & Barnes (WC Defense firm). Stewart is a former WC Administrative Law Judge Pro Tem and has been a Certified California Workers’ Compensation Specialist since 1983. Stewart also has extensive public entity experience, providing general and specialized counsel to government entities including counties, special districts and statutory towns and cities. He also has experience assisting public entities in litigating allegations of employee discrimination in Workers’ Compensation Appeals Boards throughout California. Stewart understands defenses and legal immunities that are unique to governmental and quasi-governmental entities and their public employees.